Two custom cut foam trays for the KDM 1.5 Wave 2 miniature Dragon King. 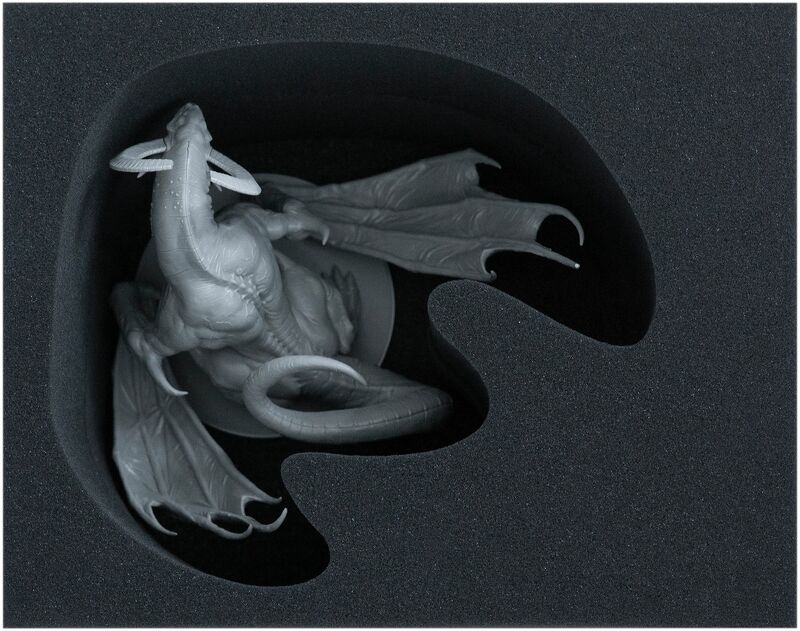 Provides additional storage space for two small KDM 1.5 Wave 2 minis. The Dragon King is the centrepiece of the Wave 2 of Kingdom Death: Monster 1.5. As such he deserves a little respect. Which is why we decided to build him a cave. 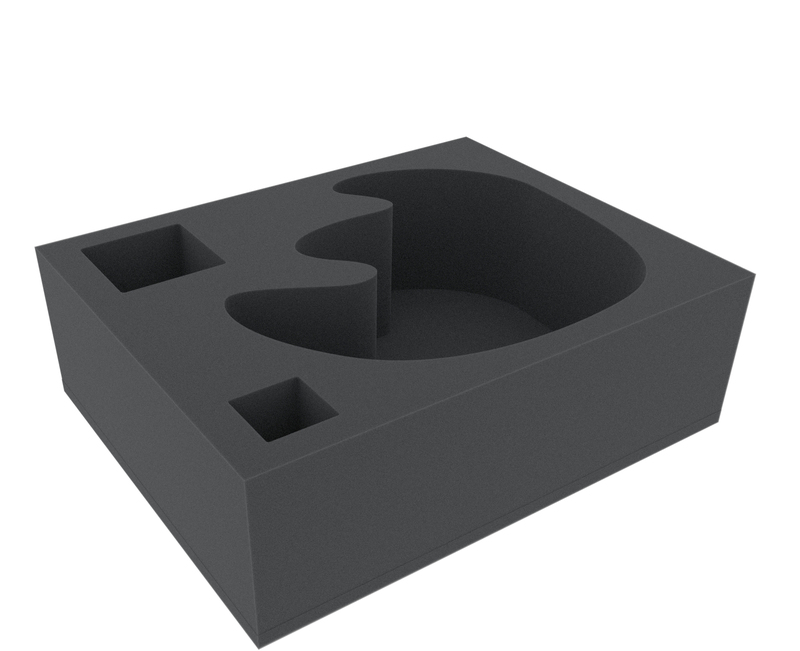 The Set, which provides a safe space for the exclusive miniature, consists of two stackable foam trays and one foam topper. The lower tray features a custom cut compartment for the Dragon King and two additional compartments for smaller KDM 1.5 miniatures like e.g. Flower Knight. This tray comes with a 10 mm base. As soon as you have filled the lower tray with your figures, you stack the upper tray, which has a special cut-out for the Dragon King, on top. The smaller minis are thus covered and the Dragon King is well protected. The foam topper that comes with the Set can then be placed on top of the upper tray to provide additional protection. 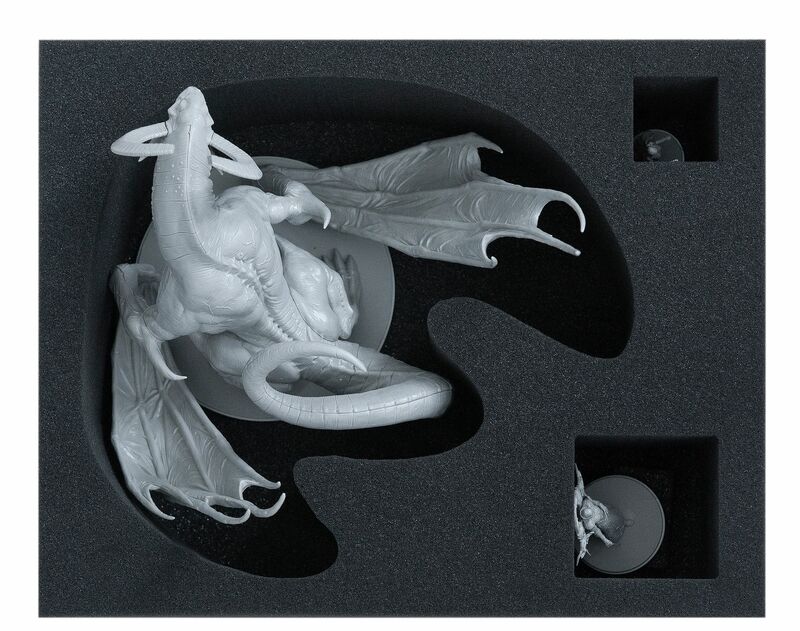 To sum it up: With our Foam Tray Set for KDM 1.5 - Dragon King you don't need to worry about the safety of this marvelous miniature. Hence, you have all the more time for what really matters: playing!